Longview recently completed the acquisition of Tidemark Systems, a planning software vendor. Longview Plan powered by Tidemark is a suite of cloud-based applications that enable corporations to plan, assess performance and communicate results more effectively. The software facilitates what Ventana Research calls “continuous planning.” This is a highly collaborative, action-oriented approach to planning that relies on frequent, short cycles to rapidly create and update integrated company-wide operational and financial plans. This structural approach makes it easy for individual business functions to create their own plans while enabling headquarters to connect those plans to create a unified view. Viewed in the long term, this acquisition provides Longview with a platform that will enable it to apply its existing on-premises intellectual property to a broader suite of web-based performance management and tax applications. Continuous planning uses technology to substantially improve the effectiveness of planning and budgeting in organizations. It makes it possible to maintain direct links between functional or departmental plans rather than rolling up plans submitted in spreadsheets. 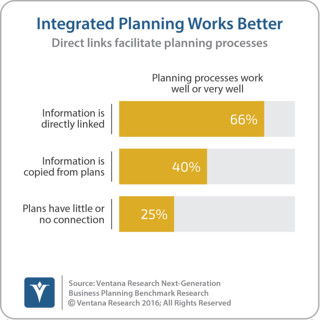 Our Business Planning benchmark research finds that companies that maintain persistent links between functional plans have a planning process that works well more often than others. Our next-generation business planning benchmark research shows that two-thirds (66%) of those that maintain such links have a planning process that works well or very well, compared to 40 percent that copy information from individual plans into an overall plan and just 25 percent of organizations in which plans have little or no connection. This sort of high-participation planning requires organization. To address that, Tidemark offers workflows to manage plan creation and periodic updates that cut the time and effort required to supervise the process, thus shortening planning cycles. Building models and collecting data doesn’t necessarily make plans actionable. One of Longview Plan’s key points of differentiation is in how it communicates and reports, enhancing understanding and insight as well as presenting results. It offers integrated analytics to support the planning and review phases of the process as well as Storylines and Playbooks, methods that present an organization’s performance in narrative form with engaging data visualizations. An important reason why companies invest time in creating plans is to set objectives so they can periodically review their performance in relation to those objectives. By organizing all business planning on a single platform, Longview Planning powered by Tidemark allows each planning unit to review its results faster and headquarters to review the overall financial and operational performance sooner. Our research finds that companies that use a dedicated third-party planning application such as this are more able to uncover details during a review meeting because they can drill down to uncover underlying details while the meeting is underway. This enables managers and executives to get to information that can improve agility and provides an environment that encourages action throughout the organization. Longview Plan powered by Tidemark represents an important extension of Longview’s product portfolio since it is a cloud-native application. The combination of Longview and Tidemark brings together two sets of well-established software, with the combined result offering broad and deep functionality with innovative user-interface design and reporting capabilities. It strengthens Longview’s market position and will provide it with a means of expanding its cloud applications portfolio faster. 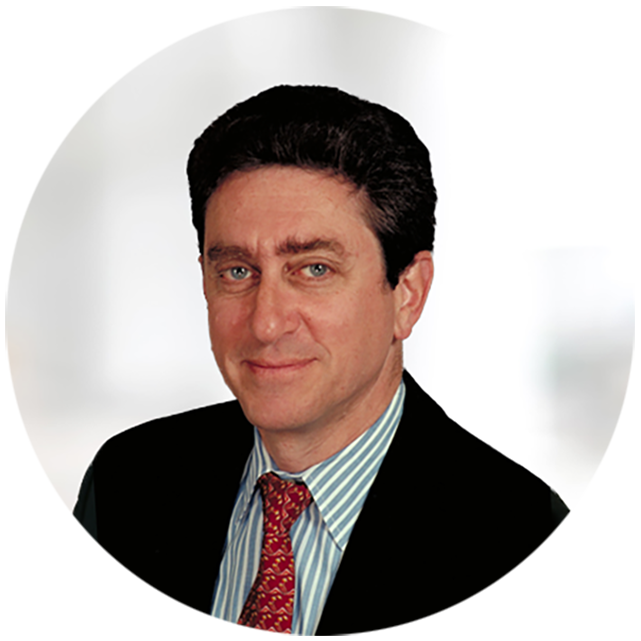 I recommend that organizations looking for ways to make a major improvement in any of their planning processes evaluate how Longview Planning powered by Tidemark can support more effective planning and budgeting. In particular, financial planning and analysis, sales, marketing and human resources groups that currently use spreadsheets to support their planning, reporting and analysis should assess how Longview Planning can make their processes more efficient, and by enabling shorter cycles and a more collaborative process, how it can significantly increase the business value of planning. and connect with me on LinkedIn. Lease Accounting: What’s Next after Spreadsheets?